Ruatepupuke is said to have seen the construction of whare whakairo in the underworld, and then introduced these carving traditions to his own Ngāti Porou people. 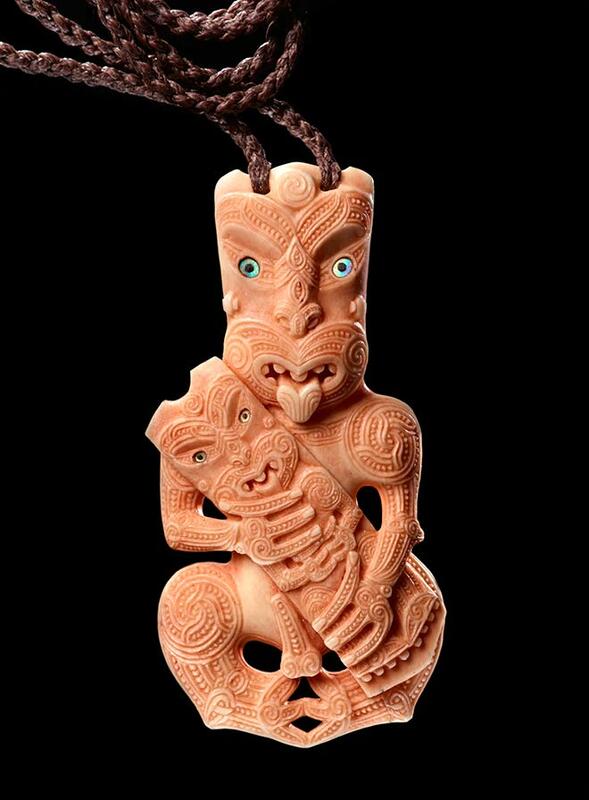 He is represented here as a hei tiki holding a pou whenua (carved ancestor figure). This bone hei tiki was carved in 2009 by Stacy Gordine.